Robin and I decided to hike the Pyramid Point trail of the Sleeping Bear Dunes a couple of weeks ago. The temperatures were bitterly cold, but the cloud cover was perfect. The end point of the trail is an epic lookout from a massive dune. The sand dune here is over 400 feet above the lake level. The lookout was amazing except for the 30+ mph headwinds. Once reaching the top we made our way towards an area known as the 'bowl.' We walked to a favorite area of mine that is seldom seen. 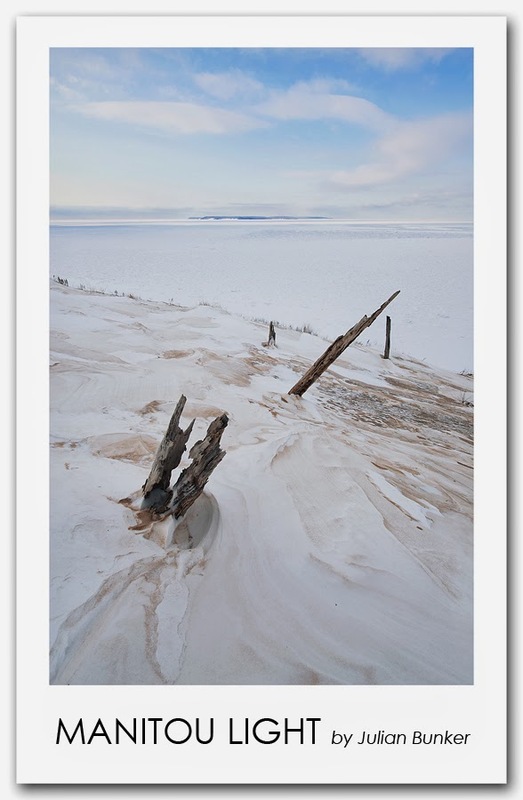 Dead tree trunks stick up from the sand (snow here) making for an interesting juxtaposition of elements. With North Manitou Island resting on the horizon, there really is not much more anyone could ask for. I hope everyone enjoys. 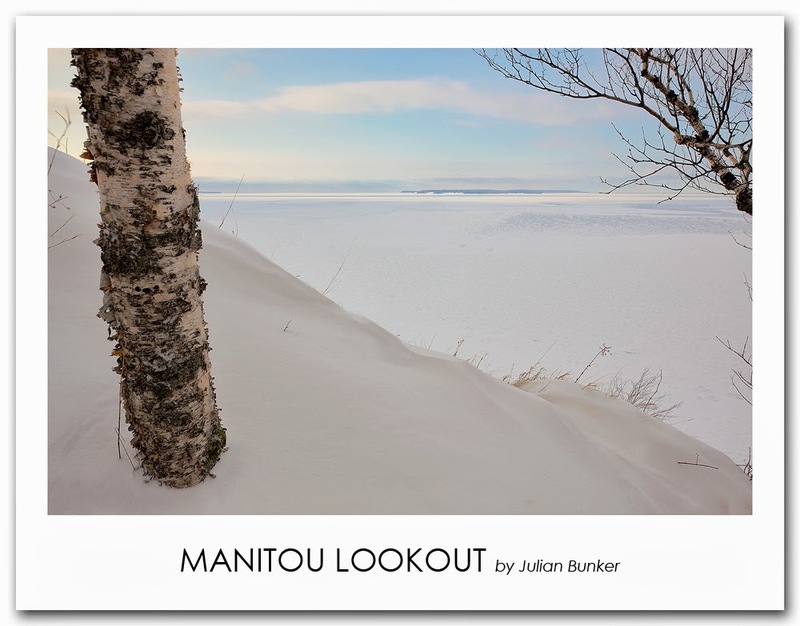 Manitou Light - Canon 6D, Nikon 14-24 (@20mm), Novoflex Adapter, ISO 100, F/16, 1/60th of a second. Manitou Lookout - Canon 6D, Nikon 14-24 (@22mm), Novoflex Adapter, ISO 100, F/16, 1/80th of a second.